I’m in the PC of this workshop. Please consider to submit your paper by April 27th. The invited lecture will be given by Christian Maar, CIO of the Allegro Group, which is the leading provider of online auction services across Eastern viagra cheap and Central Europe. Part of Christian’s talk will be about real problems of trust and reputation management for their online auction services. When: Saturday 14th March 2009 (TOMORROW); 10am-5pm. 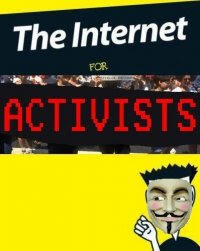 The Internet for Activists conference will bring together activists and internet experts to help progressive campaigners to fight for change both on and offline. The program includes the following topics: Internet Security; Widgets & micro-blogging; Blogging for Building Campaigns; and Effective Online Campaigning (Success Stories).